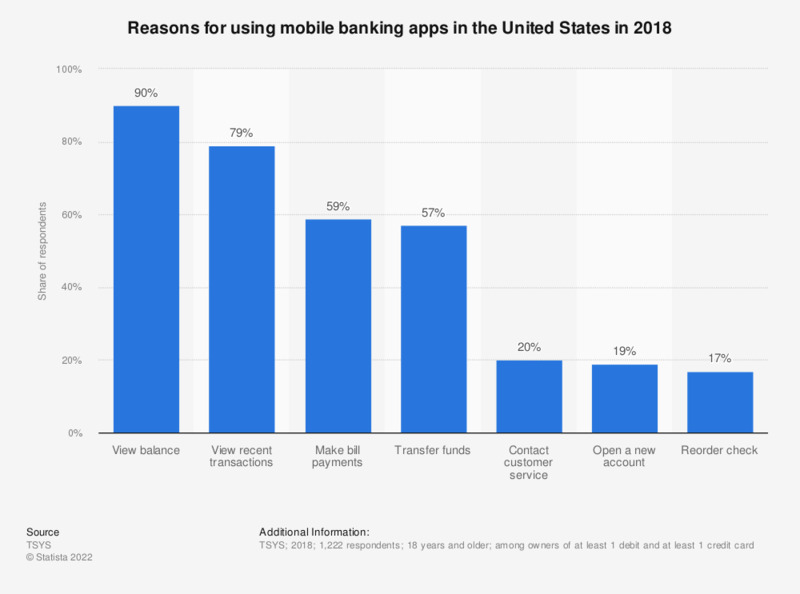 This statistic shows the reasons for using mobile banking apps in the United States in 2017. In 2017, 77 percent of respondents used their mobile banking app to verify their account balance. When you access internet banking via your personal computer, what do you use it for? From your experience as a bank customer, do you think online and mobile customer care is well integrated with customer support received at your bank branch? Which of these channels do you prefer for checking your bank balance? United States: Are you a user of an internet bank?